Higher Pressures and Temperatures with Special Clamps and Gaskets. The outlet diameters as listed are in accordance with BS4825. The ASME specification, however, requires these diameters to be 0.005” (0.125mm) less in each case. An Outlet Diameter tolerance of +0.000 -0.005” has therefore been applied, so that the same fitting satisfies requirements of both specifications. 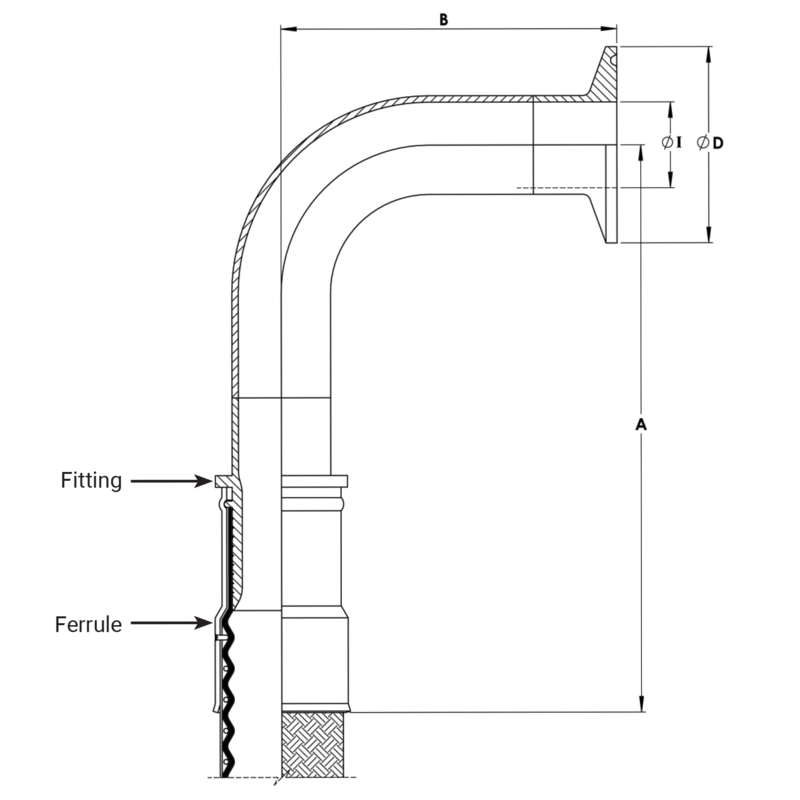 *Fitting Lengths listed are for Corroflon braided only hose grades (SS, PB, HB, KYB). Approximately 33% longer lengths apply to the rubber covered hose grades (RC, SI, FP).